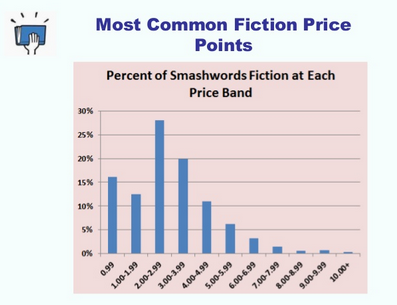 Self-publishing authors may want to think twice about that fantastic free promotion they’ve been planning, according to the newest data from Smashwords, because it won’t go nearly as far as it used to towards generating big download figures. In its 2014 industry survey, complete with a whopping 123 PowerPoint slides that not even I have the patience to flip through, Mark Coker presents some of this year’s online publishing trends that could change your PR strategy for the better. 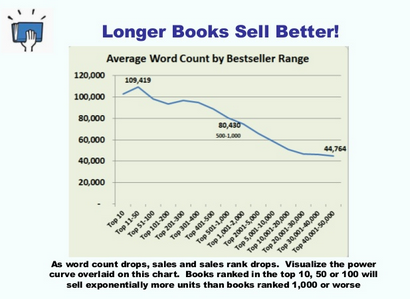 Most ebooks don’t sell. Like, at all. Ever. It’s really hard to break through the chains of obscurity and get your book on the Top 100 lists. What a surprise, right? But if you do manage to make it into the hallowed halls of popularity, your sales will exponentially increase. You have a greater likelihood of getting there if you a) price your offering between $2.99 and $3.99, b) write a series, and c) write a book worth reading. Remember way back in 2012 when self-publishing was this awesome new trend? When readers were so enamored with the novelty of reading actual books on their Kindles and iPads that they’d gobble up free content just because it didn’t cost a thing? Remember the warm glow you got when your Amazon downloads skyrocketed hour by hour during your KDP promotion? Well, prepare to be slightly, but not completely, disappointed next time you run a sale. Offering a book for free will produce 39 times more downloads than a non-free book, which is nothing to sneeze at. But in 2013, it would have gotten you 91 times more downloads, and in 2012 it would have been a hundredfold. The power of costless content is diminishing rapidly – unless you’ve got a trilogy in your pocket. Offering the first book of a series for free will absolutely generate higher sales for the subsequent volumes, Coker says, so don’t be afraid that the strategy will devalue your work. Finally, some vindication for those of us with 190,000 word tomes! While Coker doesn’t get into the critical differences of story length between genres, except to say that the average word count for best-selling romance novels is now at 96,000, you shouldn’t be afraid that adding extra pages to tell the plot properly will doom your sales potential. Readers like to get absorbed in their stories – and more importantly, they want a book that’s written well. Don’t truncate your work to fit some arbitrary notion of average length for your genre, but don’t try to pad out your twists and turns with lots of pointless, dragging fluff just to creep over 500 pages. Overall, the outlook seems positive for self-published ebooks, as it has for some time now. While Coker is quick to point out that even adhering to every single one of these general principles doesn’t guarantee a big check in the mail, it’s interesting to see what readers are looking for and what your fellow authors are up to. The longer self-publishing keeps growing, the more we can make effective marketing decisions based on actual data, which benefits the authors, the readers, and the literary industry as a whole.